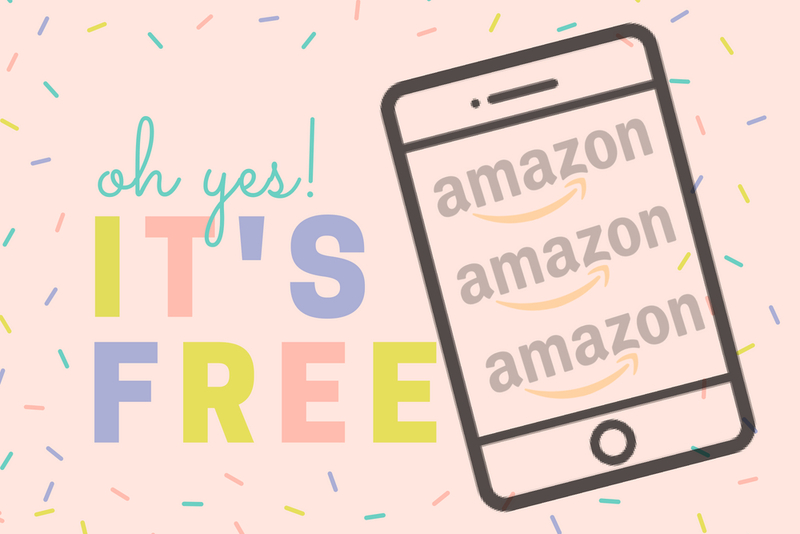 Amazing Ways to Get Free Stuff on Amazon: Guaranteed! Then again, nothing is ever really free. Amazon is a selling site. It does offer free stuff, but usually there’s a catch—you have to do something to get something. But, usually, that “something” isn’t all that onerous. Doing just a little something for something free in return sounds like a good deal to us. Here’s how. Amazon affiliate eBates is a cash back site. It receives a commission for every sales referral and you get up to 5 percent back on your purchases in select categories. Plus get a $10 bonus the first time you sign up. Do a lot of Amazon shopping? Earn eBates cash rewards for doing what you’d be doing anyway. In addition to eBates, there are a variety of rewards program where you can earn points for purchases at affiliate sites that can be used towards free Amazon gift cards. These include Swagbucks and MyPoints. And if you’re a frequent Amazon shoppers (and who isn’t? ), consider getting an Amazon credit card. You get five percent back on Amazon purchases which you can easily use towards future Amazon purchases. A variety of sites, including Amazon’s own Vine, provides free products in return for honest reviews. What makes a review “honest,” besides having actually used the product and providing a sincere opinion, is to state that you’ve been provided with the product for the purpose of review. To make that even clearer, Vine reviews are identified with a green stripe. Not just anybody can become a Vine reviewer, however; it’s an invitation-only program. Invitations are based on feedback from other Amazon customers. The way this works, basically, is that you develop a record of honest and accurate reviews recognized by your peers and it is assumed you will continue to write reviews of the same quality even if you are provided free products to do so. Okay, admittedly this isn’t exactly free as you are paying for it ($12.99/month, $119/year). But if you are willing to pay for extra fast Prime shipping, you get a host of other benefits including free movies and television programs, audiobooks, Kindle eBooks, 5GB of cloud storage and music streaming. An added bonus is free delivery in select cities and 5 percent back for Whole Foods Market purchases. As a Prime member, you can also purchase select sample boxes of anything ranging from food to new products and other goodies. You get reimbursed for the cost of the samples with Amazon credits of equal value. You can score some free audiobooks from Amazon’s Audible by signing up for a free trial. You get a free audiobook and a free 30 day membership (during which you can buy books at the discounted member rate). Once you sign up for the free trial, it automatically renews at the monthly rate; Audible doesn’t remind you that your free 30-days is over, so you need to be diligent to cancel your membership beforehand if you want to avoid being charged. Non-Prime members can get free shipping as long as they load their shopping cart with items of $25 or more. If you want one thing, chances are pretty good there are a few other things you want, too, so why pay for shipping? Plus, if you opt for slower no-rush shipping, you can get free downloads and at times credits that can be used in other Amazon stores. A number of sites provide Amazon Gift Cards for answering survey questions. This is perhaps not exactly free, as you do have to perform some work, but answering a few questions isn’t all that time-consuming or taxing. Another way to get an Amazon gift card is to trade in your old electronics, books, CDs, video games and other stuff. Arguably, this isn’t entirely free because you do have to take the time to ship the product to Amazon to receive the gift card, but it’s minimal effort. Besides, you’re getting rid of something you’re not actually using anymore. So, if nothing else, you’re freeing up storage space. FeedbackWhiz is a powerful platform specifically designed to help Amazon sellers manage, monitor, and automate feedback and product reviews. These advanced tools allow users to take a more proactive approach to customer service, enabling sellers of all types to better analyze and increase both customer engagement and sales.